We may not all be able to take a hissing cat that pees on the couch and make it into a purring angel in hours, like Jackson Galaxy, host of the television program My Cat From Hell. But if you like cats and are willing to learn the tricks of the trade, you can make up to $100 per hour or more as a cat behaviorist. A what? A cat behaviorist (or cat therapist) helps our feline friends resolve their behavior problems, sometimes working with them one-on-one. More often, it’s necessary to involve the owners so they can understand the interactions between themselves, their cats and other animals. Some might say a cat behaviorist works with cats and the people they own. If you love animals, this job could be a satisfying career or side hustle. You don’t need a college degree or a license (although certification is recommended), and though you’ll be working “out in the field,” you can run this business from home. Despite the lack of formal training, becoming a cat behaviorist isn’t easy. It helps if you already have a way with felines. But even if you’re every cat’s favorite, you still need to know how to deal with specific emotional and behavioral problems. Another option is to get a professional to help you with any problems your cat is having. Then ask a lot of questions and take notes on their strategies. For example, if you live near Nashville, Tennessee you could contact Cat Behavior Associates and arrange for an in-home consultation with Pam Johnson-Bennett. She’s the star of a television program called “Psycho Kitty,” and will charge you $350 for 90 minutes (you can see that a bit of fame will help you raise your rates). If you search “cat behaviorist license” or similar terms, you won’t find much. In most places, there don’t appear to be any laws regulating the cat therapy industry. But to boost your professional image, you can get certified by one of several organizations. For example, the International Association of Animal Behavior Consultants (IAABC) will certify you as an animal behavior consultant if you can submit evidence of sufficient experience and meet a few other basic criteria, including scoring 80% or higher on an application test. You’ll pay a nonrefundable application fee of $125 and annual dues of $110. If you lack experience to get certified, you can at least join an appropriate organization for credibility. IAABC charges just a $50 application fee to join, and then $65 for annual dues. For this you are allowed to use the IAABC logo on your marketing materials, as long as you only present yourself as a “member,” and not as a certified consultant. Study on your own, invest a little to be a member of an animal behaviorist organization, buy a few business cards, and you’re ready to go. In young industries, pricing is flexible and is often based on how you market yourself. You might be the only cat behaviorist within 50 miles, after all, so as long as you can convince people you’re worth what you charge, you don’t have to worry about the competition. Marilyn Krieger is a certified cat behavior consultant and offers 90-minute sessions in the San Francisco area for $280 plus travel. She also offers consultations by phone or Skype for $190 for 90 minutes. Carole Wilbourn, also known as the “The Cat Talker” uses a “family therapy” approach to fixing cat problems. She travels within the U.S. for clients, or charges $165 for phone consultations that last “roughly an hour.” She has also added Reiki treatments to her advertised services. As the examples indicate, to get top dollar, you probably need to write a book or become well known in some other way. On the other hand, if your fee is just half of the average charge of the cat consultants above, you’ll be making $72 per hour for helping people’s feline friends. 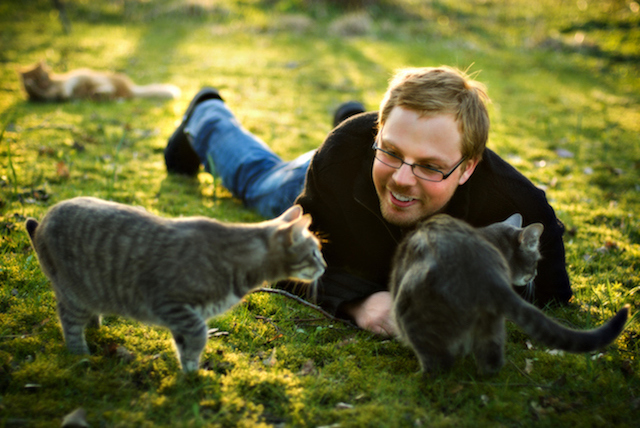 Your Turn: Do you think you have what it takes to be a cat behaviorist?